The owners of Belfast International airport have agreed to sell the asset to French infrastructure firm Vinci. An undisclosed fee for the deal, which will see Vinci acquire nine airports from OMERS infrastructure, should see further investment in Ireland’s second largest airport. 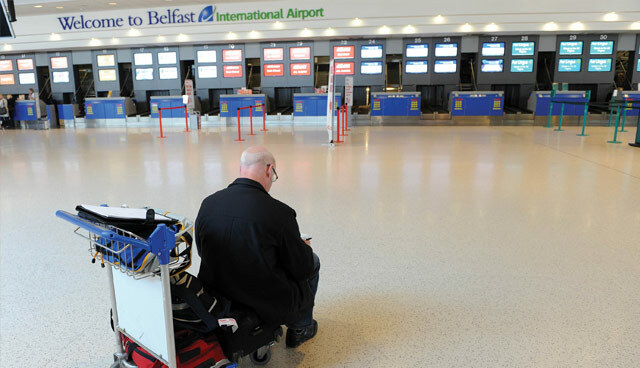 Belfast International airport has been owned by OMERS since 2013 via, its shareholding in the US company Airports Worldwide (AWW), which has now been sold. The portfolio comprises of 12 airports at sites in Europe, the US and Costa Rica, with an estimated passenger total of 26.6 million. Vinci, which is already active in seven countries and served 157 million passengers last year, owns 12 airports in France, 10 in Portugal and the Nikola-Tesla airport in Belgrade, Serbia. The acquisition of AWW is viewed as an attempt to bolster its presence in key markets, strengthening its position in Europe in South and Central America and moving in to the USA, and is expected to be completed this year. While no plans have yet been outlined, it is expected that Vinci will add further investment to the Aldergrove facility, aiming to build on recent growth. Belfast International Airport has long campaigned for the abolition of Air Passenger Duty (APD), which can add up to £150 to the price of long-haul flight of more than 2,000 miles for passengers, believing that the removal will help attract greater foreign direct investment (FDI) and attract more passengers. Recently the Airport was criticised for sponsoring a DUP fundraiser, which many viewed as being pro-Brexit. The annual North Antrim DUP dinner in February was attended by former Conservative MP Priti Patel. The Airport defended the decision to sponsor the event, describing it as an opportunity to engage with senior government figures as part of their campaign to remove APD. In a statement on the sale OMERS Infrastructure said that it had “entered into a definitive agreement to sell its interests in Airports Worldwide (AWW) to Vinci Airports. “OMERS first invested in AWW in 2009. We have focused our efforts since that time on positioning the asset for long-term success, and are very proud of the value we have created with this investment for OMERS members. We wish the AWW team and Vinci all the best, as the company takes this next step in its evolution. The statement added that the transaction is expected to close later this year.